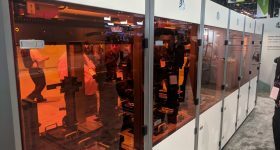 3D printing at SOLIDWORKS World 2018 has taken front and center of the main stage in LA this week. 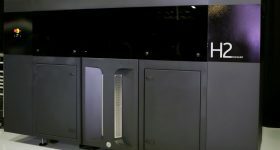 Major announcements include 3DEXPERIENCE Marketplace Make and three separate pieces of additive news on day two from 3D Systems, Nano Dimension and Desktop Metal. 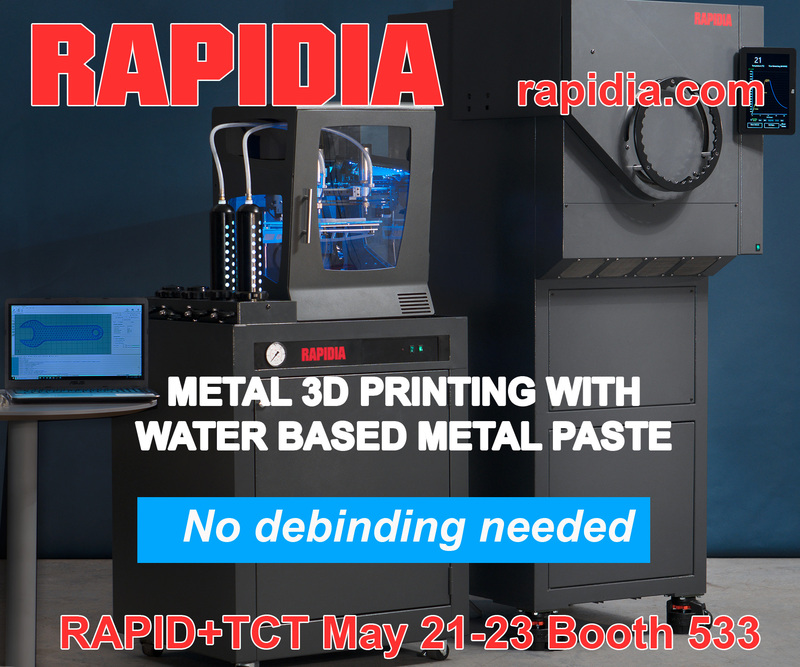 On the show floor, I caught up with some of the other leading 3D printing enterprise to learn why attending this event is a must and what these companies have in the pipeline. 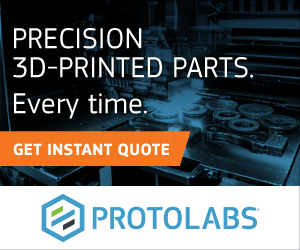 Xometry has developed a unique pricing algorithm that forms part of their manufacturing toolkit that allows buyers to order custom parters from 800 partners in 40 states. 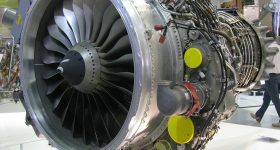 The service is used by BMW, GE, NASA and the US Army. During this weeks event Mark Reibel, Senior Account Executive at Xometry, and Elizabeth Branton, Marketing Manager talked me through updates from the company. These include one partner celebrating their first $1 million in sales through the Xometry platform. 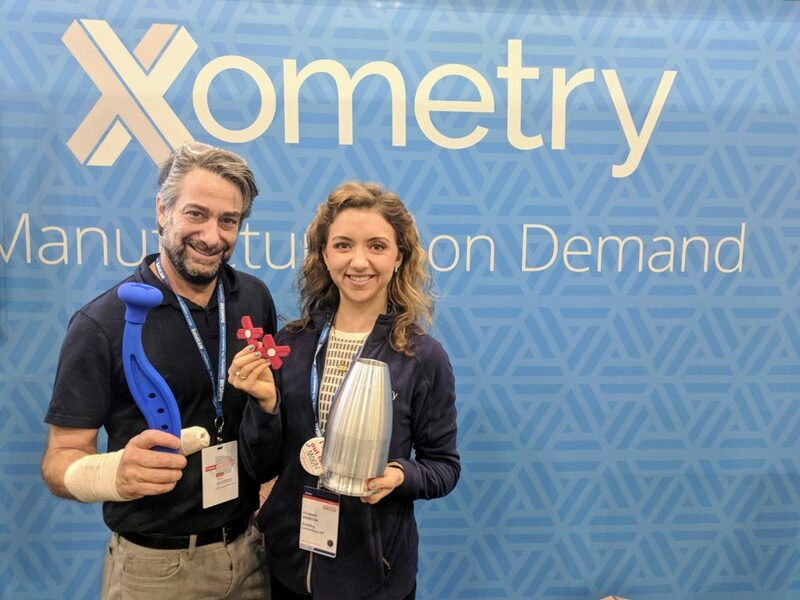 This week at SOLIDWORKS World it was announced that Xometry will also be part of Marketplace Make. 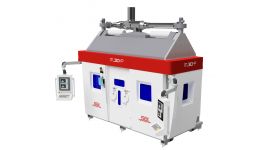 Reibel sees the interest from SOLIDWORKS as strong validation of the Xometry platform. Mark Reibel, Senior Account Executive at Xometry and Elizabeth Branton Marketing Manager. Photo by Michael Petch. Joseph Kim, Strategic Business Development Manager at Sindoh demonstrated to me how the cloud print service works. 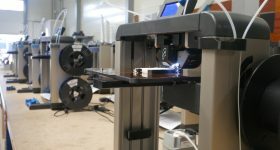 3D model slicing can be performed on the Sindoh cloud before been sent for 3D printing on a connected 3D printer. 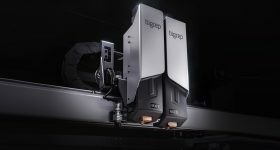 This tool also allows print jobs to be queued, and provided someone is available to clear the build plate, adds another dimension of efficiency to optimize 3D printing throughput. 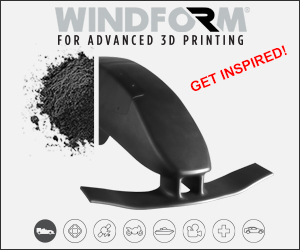 Mark Rushton, Product Portfolio Manager at Dassault Systèmes’ SOLIDWORKS, tells me that Sindoh were earlier to realise the potential for cloud print and reached out to SOLIDWORKS with the intention to develop this tool. Sindoh is also demonstrating the next 3D printer from Sindoh. Due to be released later this year. 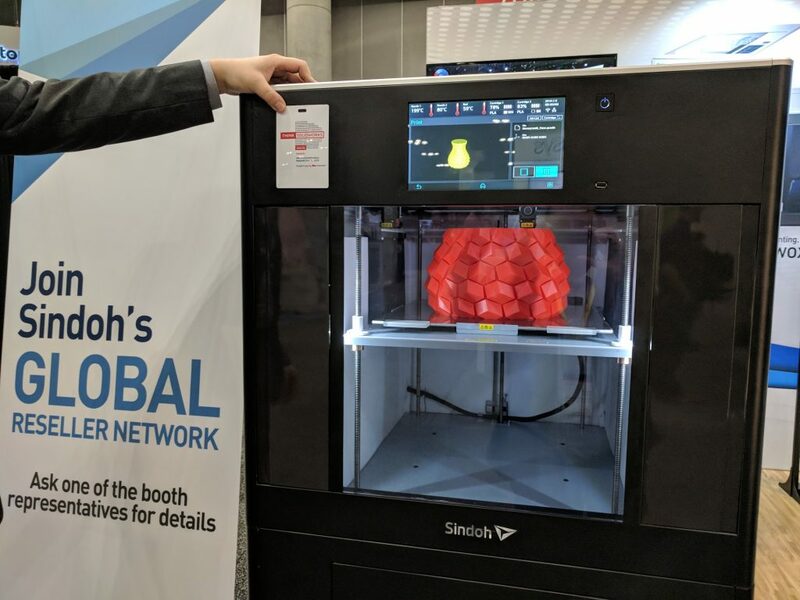 The forthcoming Sindoh 3D printer at SOLIDWORKS World. Photo by Michael Petch. At SOLIDWORKS World Wacom is demonstrating the latest Cintiq Pro 32 Graphics Tablet. 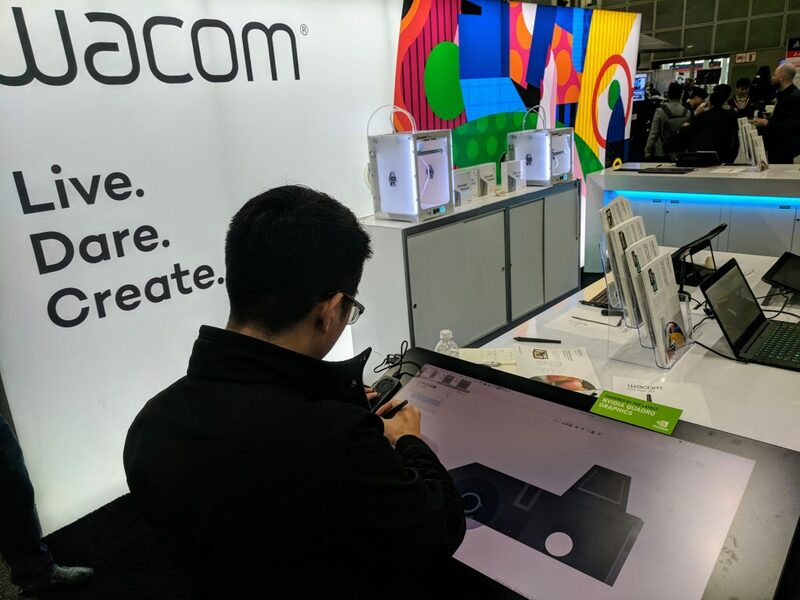 Debuting at last month’s CES, this was the first chance for many SOLIDWORKS users to experience the larger design tool, and to use the tablet with the Pro Pen 3D. One experienced designer using the Wacom Cintiq Pro 32 for the first time tells me he is “surprised” by the ease of use. The Cintiq Pro 32 Graphics Tablet at SOLIDWORKS World 2018. Photo by Michael Petch. Dave Gaylord, Director of Marketing at MatterHackers, shows me a 3D print from the Ultimaker 3. It is the same design used at the Volkswagen Autoeuropa factory in Portugal. Since 2014 the German automaker has run Ultimaker FDM desktop 3D printers and in 2016 one factory alone saved $160,000 through 3D printing. Dave Gaylord explains that Ultimaker is one of several leading brands offered by the Orange County, California HQ’d company. 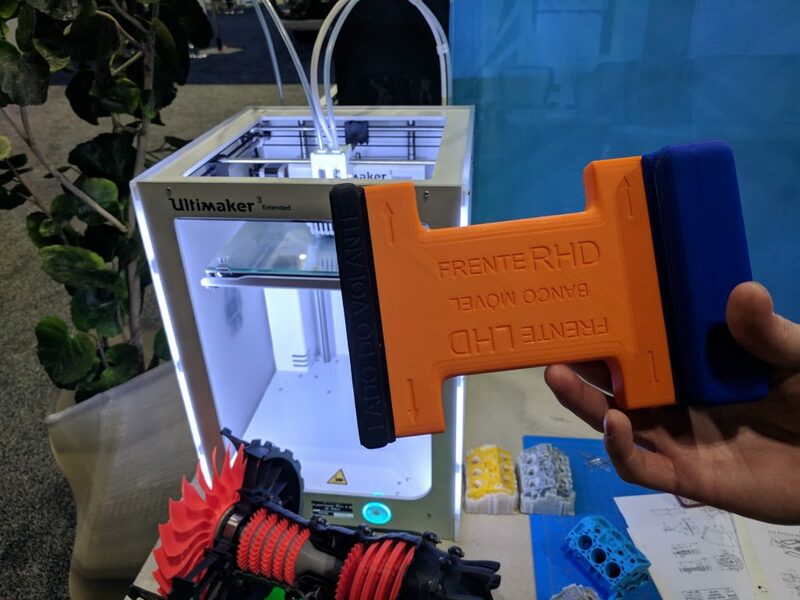 MatterHackers also still develops their own products, such as the MatterControl 3D printer control software and interface. 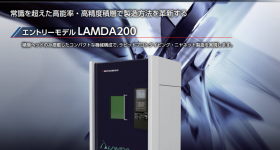 A forthcoming update will include support for SLA 3D printing and power recovery. 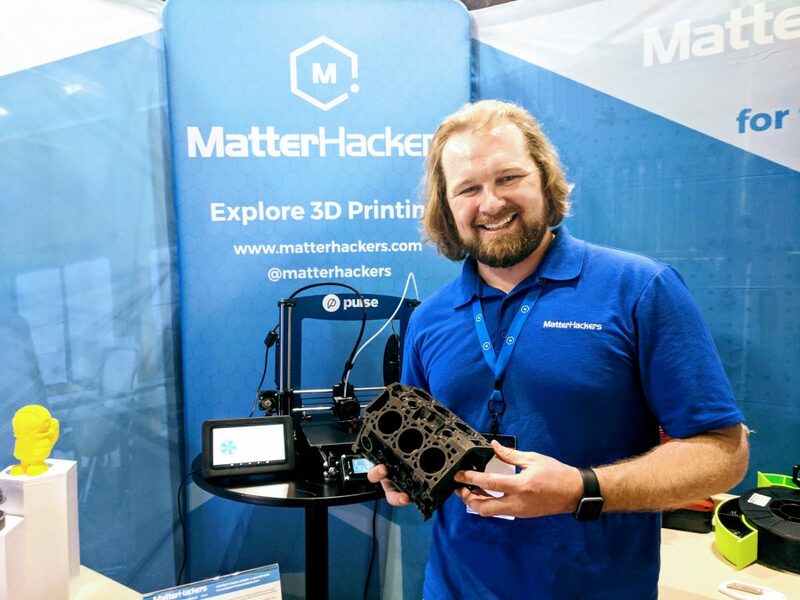 Dave Gaylord, Director of Marketing at MatterHackers. Photo by Michael Petch. 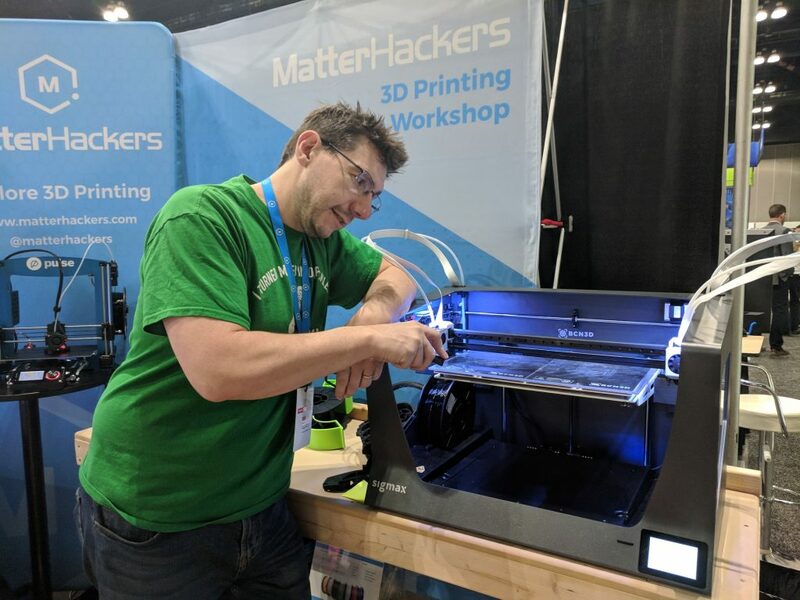 Also at the MatterHacker booth is Joel Telling a popular 3D printing community advocate and educator, more widely known by his YouTube handle – 3D Printing Nerd. Earlier this week Telling announced his last day at former employer – Adobe. He tells me, “I will now be a full time content creator.” MatterHackers are Tellings first full-time sponsors, “We play in the same sandbox, we might as build the same castle,” he explains. Joel Telling removes a 3D print from the BCN Sigmax. Photo by Michael Petch. 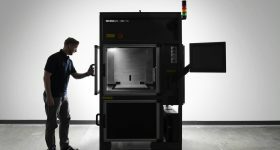 With so much happening in LA this week, a second article covering 3D printing at SOLIDWORKS World 2018 will give more information. 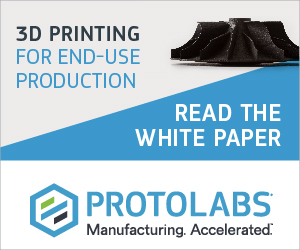 Don’t miss it, subscribe to the most widely read newsletter in the industry here, like 3D Printing Industry on Facebook and follow us on Twitter. 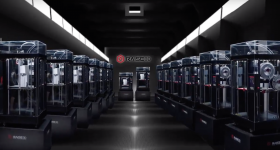 Let us know who is leading the 3D printing industry. Make your nomination for the 2018 3D Printing Industry Awards now. Featured image shows the Magic Johnson statue outside LA Staples Center. Photo by Michael Petch.